Matt Lambros is an architectural photographer who began photographing abandoned buildings over ten years ago. A graduate of Boston University's digital imaging and photojournalism programmes, Lambros has since been documenting the decay of America's abandoned theatres in the hope of shedding light on these forgotten buildings and the efforts to repurpose them. Part of raising awareness of these treasures is his involvement with various organisations that work to restore and reopen abandoned theatres in the United States. Lambros has donated time and photographs to support such organisations as the Friends of the Historic Variety Theatre, which in 2009 acquired the historic Variety Theatre, derelict since the late 1980s. 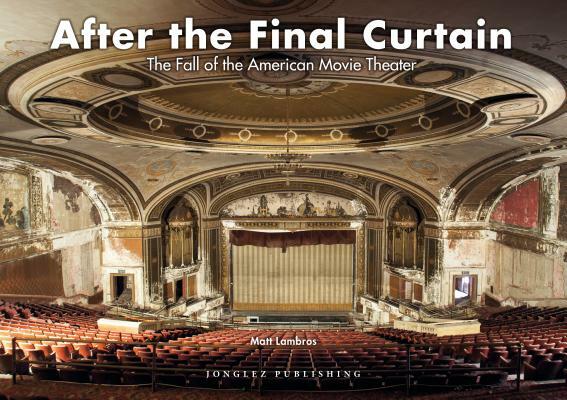 Recently, Lambros' photography of the restoration of the Kings Theatre in Brooklyn has been featured in several publications, including New York Magazine, The Guardian and The New York Times. His work with Proctor's Palace Theatre, Loew's Majestic Theatre and the Paramount Theatre (among others) has been featured in art galleries around the world. Examples of Mr. Lambros' work can be viewed online at www.afterthefinalcurtain.net and www.mlambrosphotography.com.